Kirk Broadfoot has been banned for three matches following his red card against Aberdeen. Aberdeen manager Derek McInnes has said becoming Scotland manager is one of his career ambitions. 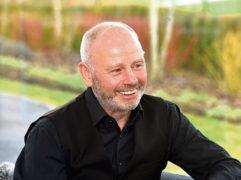 Aberdeen chairman Stewart Milne has promised the club will continue to invest in the playing budget, despite the costs of funding a new training complex and stadium. Aberdeen manager Derek McInnes has challenged his young side to show their big game mentality when they try to close the gap on Rangers at Ibrox on Sunday. As a player he was a one-team man and there's no doubting where Billy McNeill's allegiances lay. Two Aberdeen aficionados have organised a fundraising pilgrimage which will see them visit 32 football grounds in just 32 hours. Scott McKenna scored the only goal as Aberdeen saw off eight-man Kilmarnock in an ill-tempered clash at Rugby Park. European football has become a staple diet at Pittodrie over the last five seasons. Derek McInnes wants to ensure it remains on the menu. Aberdeen manager Derek McInnes and his assistant Tony Docherty have been charged by the Scottish FA after being sent to the stand during last week’s Scottish Cup semi-final against Celtic. Aberdeen boss Derek McInnes has called on the club’s board to back him as he faces the biggest summer rebuild of his Pittodrie career. Derek McInnes believes Scotland have the talent pool at their disposal to get to a major tournament. Darren Mackie believes European football is as vital to Aberdeen as competing for honours in Scottish football. Aberdeen manager Derek McInnes has challenged Connor McLennan to fill the void following Niall McGinn’s injury by leading the way in the Dons’s push for Europe. Derby County manager Frank Lampard has admitted the Rams are interested in Aberdeen skipper Graeme Shinnie. Aberdeen manager Derek McInnes will not let his club’s season peter out following their Scottish Cup exit. Aberdeen goalkeeper Joe Lewis has called for the Scottish FA to take strong action to tackle Scottish football’s sectarian problem. Aberdeen suffered an afternoon to forget as the nine-man Dons went down to a 3-0 defeat to Celtic in their Scottish Cup semi final at Hampden Park. Aberdeen midfielder Niall McGinn won't play again this season after suffering an ankle injury. Joe Lewis came to Aberdeen to win trophies and he does not want to leave Pittodrie without one. Paul Hartley has backed Greg Stewart to deliver the quality that puts Aberdeen in the Scottish Cup final. Derek McInnes has no doubt his Aberdeen side can become Hampden heroes by pushing Celtic aside en route to the Scottish Cup final. Stevie May wrecked Aberdeen’s Scottish Cup dreams five years ago but he would love to be the man that fires the Dons to the final by hitting the winner against Celtic tomorrow. Ending Aberdeen’s near three-decade wait for the Scottish Cup would go a long way to cementing Derek McInnes’ legacy. Twelve months on from his first donning of the captain’s armband, Scott McKenna will be hoping for an altogether different outcome. Sam Cosgrove may be playfully tipped for the Ballon d’Or by Aberdeen supporters but his cult-hero status will not go to his head. Former Aberdeen captain Paul Hartley is unsurprised Graeme Shinnie is tempted by a new challenge in England. Aberdeen captain Graeme Shinnie has held talks with Derby County today. The pain of a semi-final exit, with the cup in sight, was enough to tell Barry Nicholson it was time to move on. Lewis Ferguson has made a habit of scoring goals people cannot stop talking about. Derek McInnes reckons the platform is there for Lewis Ferguson to prove he is the best young player in Scotland. Aberdeen vice-chairman Dave Cormack believes getting into the Europa League group stages is the club’s next target. Aberdeen manager Derek McInnes reckons his Celtic counterpart Neil Lennon is on a hiding to nothing ahead of this Sunday’s Scottish Cup semi-final. Failing to end Aberdeen’s long wait for Scottish Cup success remains Willo Flood’s biggest regret of his time with the Dons. Graeme Shinnie insists he will do all he can to help Aberdeen reach the Scottish Cup final – despite being suspended for this weekend’s semi-final against Celtic. Sam Cosgrove took his tally to 20 for the season with a brace in Aberdeen's 2-0 win over Dundee. Derek McInnes is not surprised Greg Stewart is attracting interest after Rangers held talks with the forward’s representatives. Graeme Shinnie has hit out at Gordon Dalziel’s “over the top” criticism of his Scotland displays. Aberdeen will start their post-split fixtures on the road against Kilmarnock. Niall McGinn wants to keep hitting the goal trail after finally shaking off the injury bug. Mark Reynolds will leave Aberdeen in the summer and join Dundee United. Aberdeen and Hearts have been cited by the Scottish FA after the melee towards the end of Saturday's game at Tynecastle. Aberdeen boss Derek McInnes urged his side to make Pittodrie a fortress again after ending their three-month home hoodoo last night. Much of what Aberdeen have produced at Pittodrie in 2019 has been low. The quality, the intensity, the entertainment, the goal count, the points return. Niall McGinn has seen plenty of Pittodrie highs and lows and his decisive contribution last night finally put paid to Aberdeen’s recent home woes. Niall McGinn's second-half brace gave Aberdeen their first league victory at Pittodrie since December as they beat Motherwell 3-1. It's now easier than ever to enjoy The Press and Journal where and when you prefer — thanks to our great new tablet subscription offer. Lewis Ferguson reckons Aberdeen have seven cup finals left to secure European football for next season. Greg Stewart remains a target for Aberdeen amid interest in the striker from Rangers. Aberdeen manager Derek McInnes believes his side owe the supporters a match-winning performance at Pittodrie tomorrow.